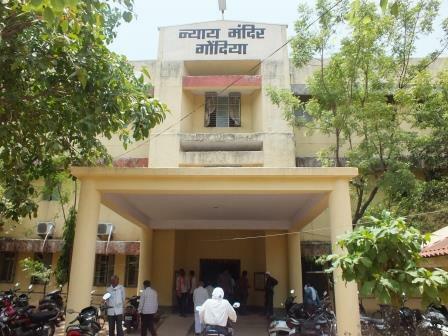 Gondia Judicial District was carved out by Division of Bhandara Judicial District on 27/02/2011. The Court of Principal District and Sessions Judge, Gondia has been inaugurated by the hands of Hon. Chief Minister Shri Pruthiviraj Chavan and Hon. Justice Shri D.D. Sinha of Bombay High Court, Nagpur Bench Nagpur. Union Heavy Industries Minister Shri Praful Patel and Hon. Justice Shri P.B. Warale and newly posted Shri A.D. Karanjkar, Principal District and Sessions Judge, Gondia were among the other dignitaries present at the functions. Although Gondia District was formed 11 years back it was not the judicial district before the inauguration court of Principal District and Sessions Judge, Gondia. Historical information of the District Court, Gondia. Gondia District was earlier part of Bhandara District. The Court of Additional District & Sessions Judge, Gondia was established on 01/03/1984 and the Court of Civil Judge Senior Division, Gondia was established on 28/2/1989. 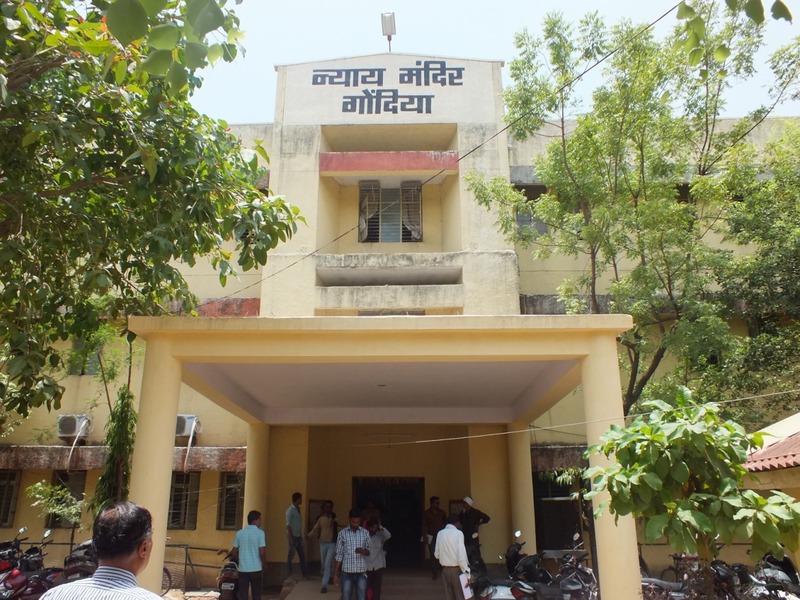 However, Gondia Judicial District has been separated from Bhandara Judicial District and independent District Court started functioning at Gondia w.e.f. 27/2/2011. Shri A.D. Karanjkar is the first Principal District and Sessions Judge, Gondia. HISTORY :- Gondia is situated at North Eastern end of Maharashtra State. Mumbai, capital of Maharashtra is 967 km and Nagpur sub-capital is only 165.5 km from Gondia. ABOUT THE NAME GONDIA :- In ancient time, this region was ruled over by ‘Gond’ kings. The rich dense forest reflects the culture of Gond people the main business at that time was to collect lak (sealing wax) from ‘Palas’ tree and ‘Gum’ from ‘Babul’ tree, Gum is called as ‘Gond’ in Hindi, therefore the name Gondia is tagged to the place. Evidence is, gazetier written by R. V. Russel. GEOGRAPHICAL AREA :- Gondia district is situated between north altitudes 20.39 to 21.38 and east longitudes from 79.27 to 80.42. Height from sea level is MSL 311.16 m.
Average temperature is maximum -44.5° C and minimum -06.8° C.
Average rainfall is 5333 mm. Rainfall occurs mainly in July to August. Geographic area is 4.84,312 sq. hectares. Municipalities are two Gondia and Tirora. Area under forest – 11,879 sq. hectares. Broud Gauge – Gondia, Gangazari, Kachewani, Tirora, Mundikota, Gudma, Amgaon, Dhanoli, Salekasa, Darekasa, Gankhera, Hirdamali (Goregaon), Pindkepar, Gongale (Pandhari), Khodseoni, Sounded , Gondumri, Deolgaon, Barabhti, Arjuni, Wadegaon. National highway No. 06 Mumbai to Kolkata passes through the district from Soundad-Khohmara-Deori. It is land of freedom fighters and Sant-Mahatmas. In the year 1818, Chimanaji Patel of Kamptha fought against British. Many people actively participate in freedom struggles with many eminent personalities like Vinoba Bhave, Mahatma Gandhi, Sundarlal Bahuguna and others. Aprroved Select/Wait List of Peon Dist. Gondia. Approved Select/Wait List of Post- Junior Clerk District Court, Gondia. Aprroved Select/Wait List of Stenographer L.G. Dist. Gondia. Information in respect of sanctioned strength, vacant post etc..